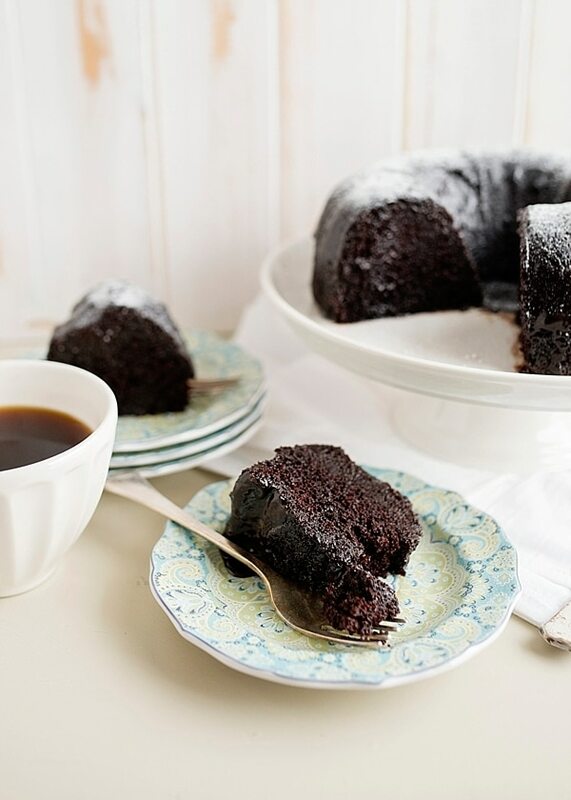 Chocolate Rum Cake that is a moist and decadent cake that tastes better the longer it sits. 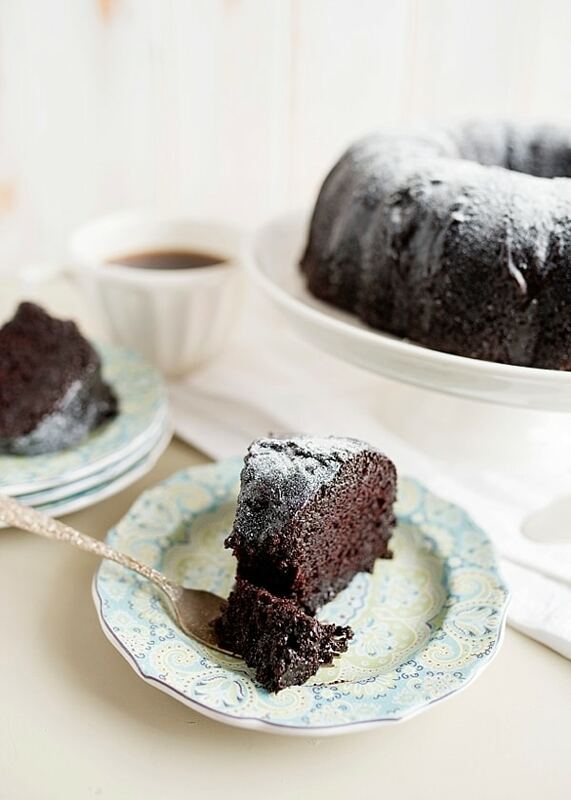 The chocolate rum syrup soaks into the cake and keeps the cake soft and tender. I’ve heard that in Germany there is a tradition that each afternoon, you enjoy a cup of coffee and a slice of cake. Kaffee und kuchen. I feel like since I will be living in Germany this summer, I need to start embracing the German way of life as soon as possible. This tradition will begin today and every afternoon henceforth. It sounds like a perfectly lovely thing to do to, doesn’t it? I like the idea of taking a break in the middle of the workday to refresh and regroup. And it doesn’t hurt that I really like coffee and cake. This is a win-win. After reading this article, it isn’t a specific cake that is consumed, it can be any cake you like. If you are like me and like a boozy cake, my chocolate rum cake recipe is the one for you. Maybe this is less of a weekday workday cake and more of a lazy weekend cake? Regardless, this cake is incredible. It is a super moist (sorry, I know that is a polarizing word, but it is what it is) cake that actually gets better after it sits for a day or two. This recipe is a little different than most cake recipes. You actually let this cake cool completely and put it back in its cake pan. You pour over a chocolate rum syrup and let it soak in overnight. You then turn the cake back out and dust it with powdered sugar before you serve it. It packs a (rum) punch and is an excellent cake to go along with a steamy cup of coffee. This post is sponsored by Dixie Crystals Sugar. This cake looks amazing, Bree!its wonderful how you’re embracing German traditions already! This looks delicious! I don’t have a bundt pan at home, is there any reason I couldn’t make this as a sheet cake? You can try, but I can’t promise how well it will work. 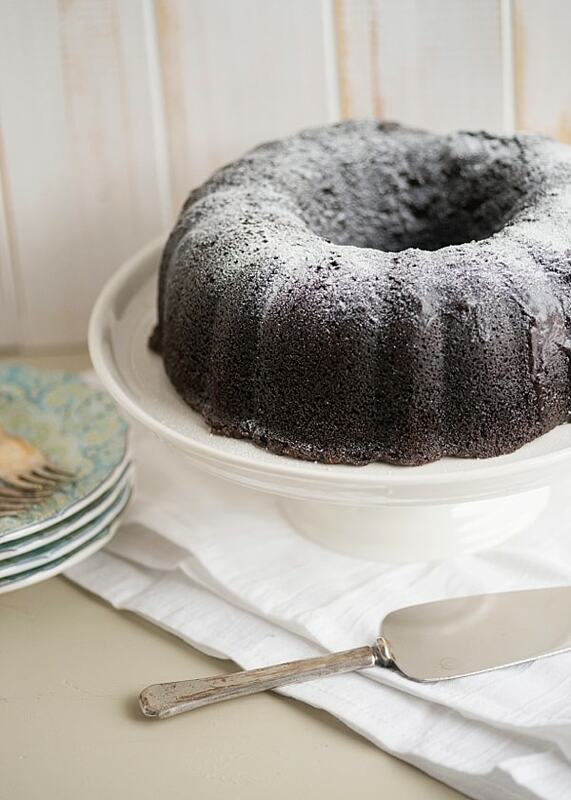 You need the deep bundt pan to let the syrup soak in. I cannot wait! It’s a tradition that I can really get behind. Yes, it is so versatile! Thanks for the recipe Bree. Baking this cake for my daughter’s 23rd birthday…. You can reduce the amount of syrup but it probably didn’t come out because it is supposed to be baked in a bundt pan. Would the cake stand up to doubling the amount of chocolate rum syrup, to increase the rum kick? I’d like to see how much extra rum I could get into the cake without over-saturating it. I don’t think so. I think that it is pretty wet as written. I’m afraid it would fall apart with that much liquid.